This book is the principal output of a major international research project under the auspices of the International Energy Agency (IEA) Solar Heating and Cooling (SHC) and Energy in Buildings and Communities (EBC) Technology Collaborating Programs joint SHC Task 40/EBC Annex 52: Towards Net Zero Energy Solar Buildings (http://task40.iea-shc.org/). The focus of the project was to examine the performance in use of net-zero energy buildings (Net ZEBs) across the globe in order to understand the strengths and weaknesses of the design solution sets adopted. 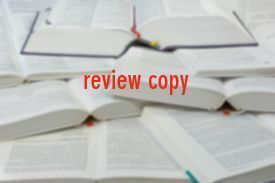 The fundamental contribution of the part of the project described in these pages was this examination of many different built and functioning buildings and the general lessons about Net ZEBs that can be drawn. In this chapter, the methodology for analyzing the zero energy case study buildings is presented. The underlying principles of this methodology are presented in this introductory Section , including the potential ways in which the balance between energy load and generation may be calculated. The methodology itself is presented in Section. A summary of the methodology is then given in Section describing how it is applied to the Case Studies resulting in the derivation of general strategies for addressing general building requirements. In this chapter, the data (buildings and measures) gathered from the Task 40 Net Zero Energy Solar Buildings Research Project is presented with detailed descriptions and summaries. As discussed in Chapter , the thirty case study buildings are partitioned into five groups by Climate and Building type. The measures deployed by these buildings are grouped by Building Requirement and this is not a strict partitioning as it is common that one measure contributes to meeting more than one requirement (e.g., BIPV/T deployed to address Electricity and Heating requirements). The case studies of the IEA SHC Task 40/EBC Annex 52 are portioned into groupings according to building types, climate efficiency measures. In this chapter, Net ZEB design is discussed from an architectural perspective. This can be characterized as bringing some issues traditionally the concern of Building Engineers (predominately energy-based) into the building design domain which has been traditionally dominated by an Architectural view point. Although the word design may have been used previously in the context of technical issues related to the energy design of a Net ZEB, in this chapter, the word design refers to the architecture field (architecture: the art or practice of designing and building structures and especially habitable ones). This includes possible extensions of discussions to the landscape scale (landscape design). Some technical concepts already discussed in this book will be re-proposed, focusing on spatial and formal aspects related to Net ZEB design. In Section the motivations and reasons for monitoring building energy and comfort are presented from the point of views of building manager and building occupants. The energy performance of the 30 Task 40 Case Study buildings is presented in Section . In Section a detailed description of monitoring Net ZEBs throughout the various phases of a building project lifetime is presented spanning four building phases: Planning, Design, Installation and Operation. In Sections and two protocols for monitoring building energy performance and Indoor Environmental Quality (IEQ) are described. IEQ monitoring includes Post-Occupancy Evaluation (POE) of thermal comfort, lighting comfort, acoustic comfort and air quality. Four levels of energy monitoring and three levels of assessing IEQ and comfort are presented, representing the most basic to the most fully developed monitoring procedures. The energy and IEQ monitoring systems at the ENERPOS building, Reunion Island are presented as examples and discussed in detail. The last Section consists of feedback from several Net ZEBs monitoring systems from which recommendations for achieving a reliable monitoring system are compiled. 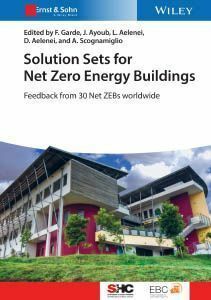 The aim of this chapter is to examine the lessons learned by the design teams and the users of Net Zero Energy Buildings (Net ZEBs). The chapter presents observations, anecdotes, and experiences gathered from a series of selected face-to-face interviews with the design team, architects, engineers and occupants of Net ZEBs. Seven non-residential buildings have been investigated and the main results of this exercise can be found in Sections and . Several of these buildings are from the 30 Task 40 Case Study Buildings. Recommendations by engineers and architects based on their experience with the seven investigated buildings are presented at the end of Section.